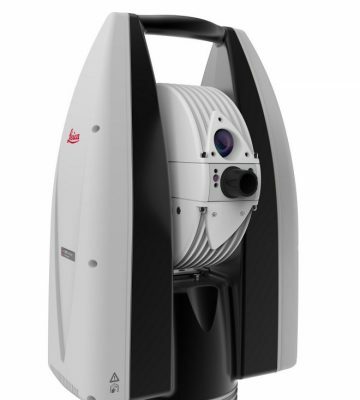 The Leica Absolute Tracker AT960 is a high-performance, robust, all-in-one laser tracker that fits in a single flight case. 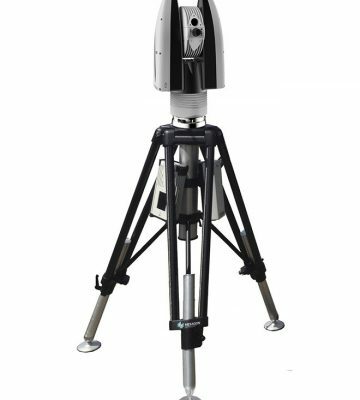 Offering high-speed dynamic measurement as standard, it is a complete solution for six degrees of freedom (6DoF) probing, scanning and automated inspection as well as reflector measurement. A new generation of portable CMM system based on proven technology, the AT960 brings together the 6DoF functionality introduced with the Leica Absolute Tracker AT901 and the portability and usability delivered by the compact Leica Absolute Tracker AT403. The result is a highly-sophisticated yet easy-to-use large-volume measurement solution weighing less than 14 kilograms. Featuring wireless communication and a battery operation option, the integrated-technology design of the AT960 makes lengthy setup a thing of the past. Independent hot-swap battery power supply allows a quick and easy cable-free setup in almost any location for better portability, offering a flexible solution that lasts up to a day’s shift – wherever the tracker is needed. High-resolution colour OVC enables operators to remotely view the tracker’s field of vision, locating targets to measure to fixed reflectors – including multi-spot handling in a single image – ideal for static hidden point devices or to supplement documentation. The Absolute Interferometer (AIFM) single distancing unit combines the accuracy of an absolute distance meter and the speed of an interferometer to give readings quickly and accurately with no need for a home point. Enhance the AT960 with 7DoF data collection to enable the possibilities of real-time machine guidance. *All accuracies specified as Maximum Permissible Errors (MPE) and calculated per ASME B89.4.19-2006 and ISO10360- 10:2016 using precision Leica 1.5” Red Ring Reflectors at up to 60 m distance unless otherwise noted. **Additional Leica T-Probe uncertainty to be added according to ISO/IEC Guide 98-3:2008 to the existing Leica Absolute Tracker AT960 “Ux,y,z” uncertainty for a complete “Ux,y,z” uncertainty at up to 25 m distance.